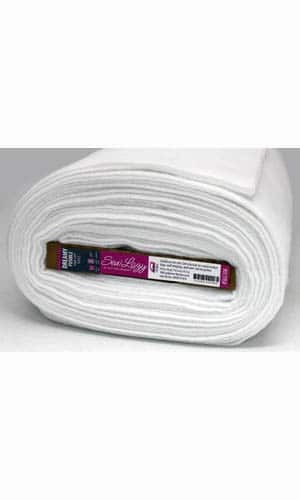 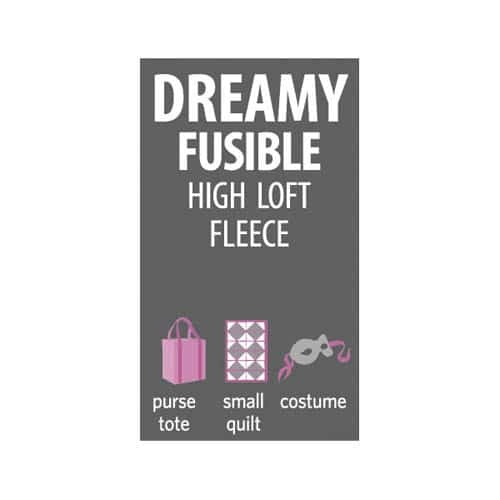 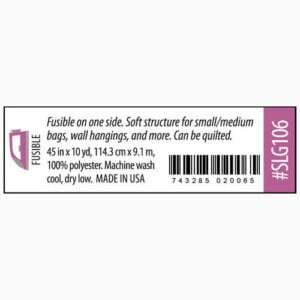 Currently Unavailable: Dreamy Fusible Fleece has a soft, perfectly cloudy and creamy composition with just the right fullness and body to add soft structure to your projects. 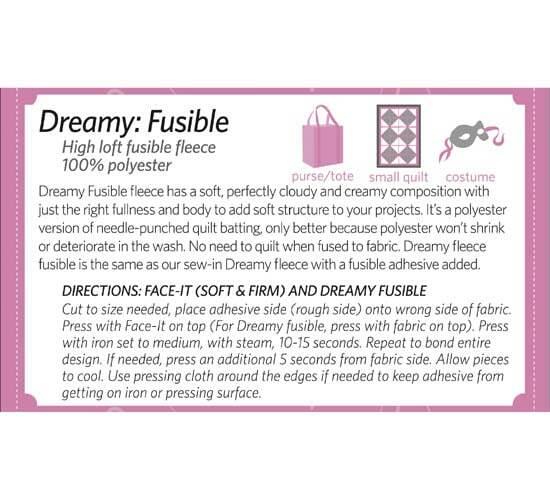 Project-sized cut works with most Lazy Girl patterns that call for fusible fleece, sew-in fleece, or batting. 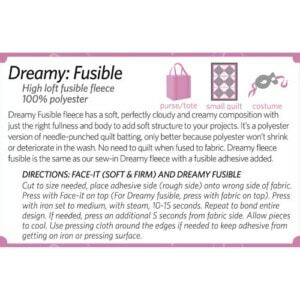 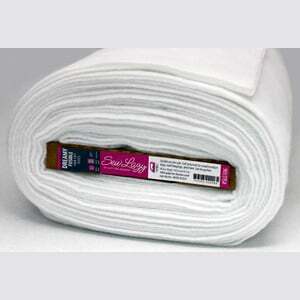 100% polyester high loft fusible fleece.